Do you have a child in elementary, middle or high school in Arkansas? Then you need to know about the standardized tests your child will be taking. To comply with the federal No Child Left Behind (NCLB) Act of 2001, Arkansas administers standardized tests to students beginning in 2nd grade through high school. Time4Learning, an online education service that teaches many of the skills these exams test, offers this page to help you understand Arkansas’ standardized tests and how you can help your children prepare. Arkansas’ Benchmark Exam is a standards-based, or criterion-referenced, test. It measures how well students in Arkansas learn reading, writing, math and science skills as defined by the state’s academic standards at each grade level. Beginning in 2007-2008, the Benchmark Exam was combined with the Stanford Achievement Test, Tenth Edition (SAT-10 or Stanford 10) to create the Augmented Benchmark Examination. For students in 3rd grade through 8th grade and 11th grade, the Augmented Benchmark Exam contains both Benchmark items, which are based on grade-specific Arkansas content standards and Stanford 10 (SAT-10) items. The Stanford 10 is a national norm-referenced test, i.e., it compares students to their peers nationwide. Students in third through eighth grades are tested in math (including Stanford 10 math items) and literacy (reading and writing, including SAT-10 reading and language items). Students in 5th grade and 7th grade also take a science test (including Stanford 10 science items). In addition, eleventh grade students take the Grade 11 Literacy Exam. Benchmark Exam scores do not determine if a student will be promoted to the next grade or held back. However, students who do not receive a proficient or advanced rating on the Benchmark Exam must follow an individualized academic improvement plan. In addition, test scores from the Benchmark and End of Course Exams will appear on a student’s transcript. Students in Kindergarten, 1st grade, 2nd grade and 9th grade will take the Stanford 10 test by itself. Unlike the Benchmark Exam, which is a standards-based test, the SAT-10 is a norm-referenced test. Based on a percentile rank, the Stanford 10 measures how students in Arkansas compare with students nationally in reading, language arts and mathematics. 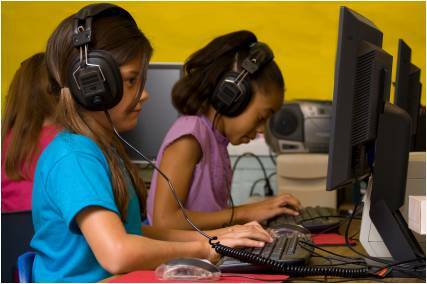 Students in kindergarten, first, second and ninth grade take the SAT-10 by itself, while students in third through eighth grades take a combination of the Benchmark Exam and Stanford 10. In high school, Arkansas students enrolled in algebra I, geometry and biology courses must take End of Course exams. Like the Benchmark Exams, the End of Course exams are standards-based tests, which mean they measure specific skills defined by the state of Arkansas. Arkansas is working with other states to introduce a standards-based algebra II exam as well. Standardized test scores are an important measure of accountability in Arkansas schools. The state uses test results to determine if schools are doing well or are in academic distress. Schools deemed to be in academic distress may receive funds and assistance to help them create and implement improvement plans. For general tips on test preparation, please visit our standardized test overview page. The real preparation for the Benchmark Exam, and all standardized tests that assess a wide range of fundamental skills, is to steadily build and master skills in math, reading and writing fundamentals. To help your children prepare for state standardized tests such as Arkansas’ Augmented Benchmark Exam, you can enroll your children in a test prep program or buy books to help them become familiar with test formats and terminology, to learn test-taking strategies (when to guess, when not to), to become comfortable with time restrictions, and to practice answering different types of questions.